Brian Martin Vinsko, Esquire is an attorney with Vinsko & Associates, P.C. He is a graduate of the South Texas College of Law in Houston, Texas. During his time in Texas, Brian worked for a well-known plaintiff and environmental firm, working on behalf of plaintiffs in groundwater contamination matters as well as general civil litigation. In his years practicing, Attorney Vinsko has focused on personal injury and motor vehicle accident cases. He also has worked extensively in family law, including divorce, custody, and support matters. 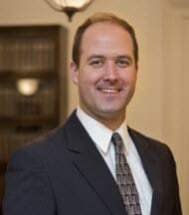 Additionally, Brian has become the firm's lead attorney on unemployment compensation, routinely representing clients from areas regarding referee hearings to appeals to the Unemployment Compensation Board of Review, as well as the appellate courts of the Commonwealth of Pennsylvania. He has been successful in seeking reversal of both Referee determinations and the decisions of the Unemployment Compensation Board of Review through the appellate process, whether administratively or with the Commonwealth Court of Pennsylvania. Brian has successfully argued for his clients to ensure they receive unemployment compensation benefits which were wrongfully denied. Brian also handles other areas including employment discrimination, wills and estates, real estate, and general civil litigation. If you have any of these specific legal needs and require assistance, call Brian at 570.970.9700 x120. Brian is also very active in the local community as a volunteer. He has worked tirelessly for his alma mater, King's College, Wilkes-Barre, PA, and is a member of the Luzerne County Law and Library Association.